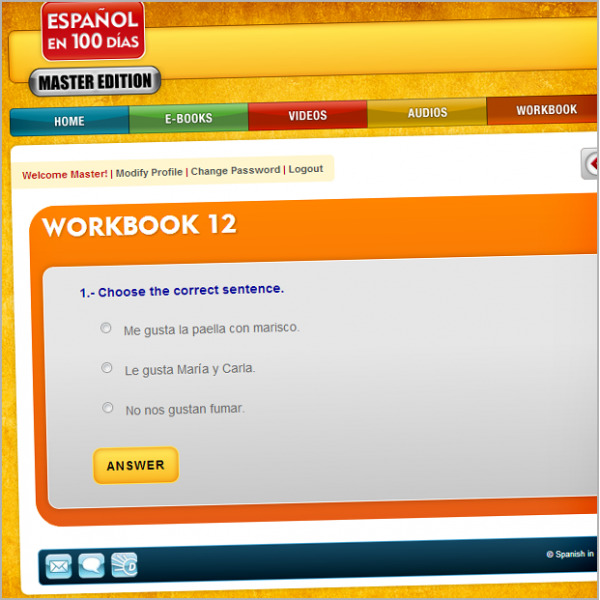 You will learn everything you need to speak Spanish with maximum fluency. 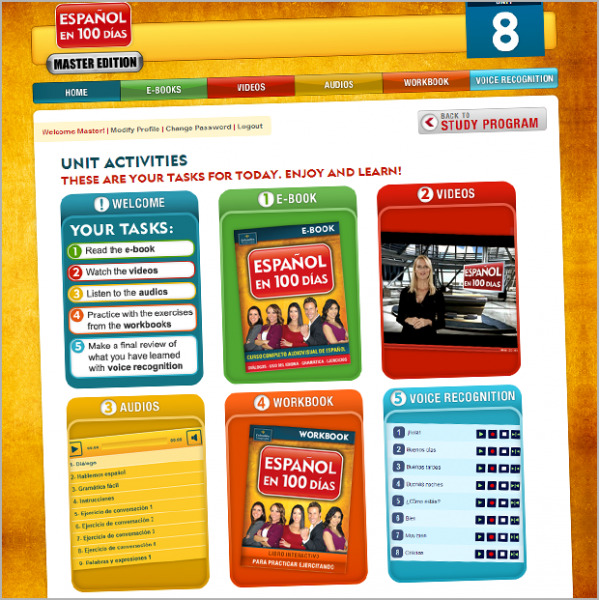 Our course is organized into 30 didactic units that walk you from the breakthrough level to proficiency via 230 easy-comprehension videos in English and Spanish. 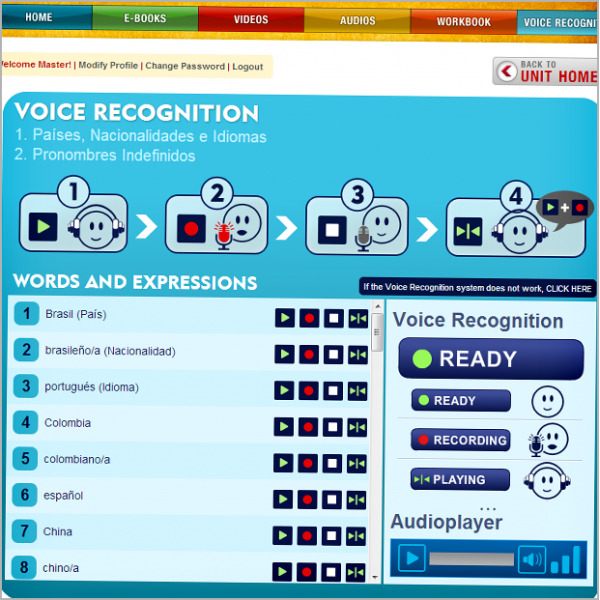 Then practice your pronunciation with our exclusive voice recognition tool! 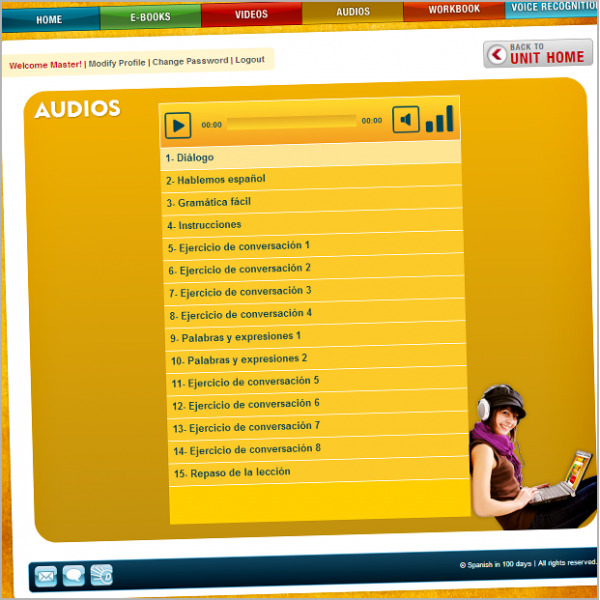 Would you like to learn Spanish? 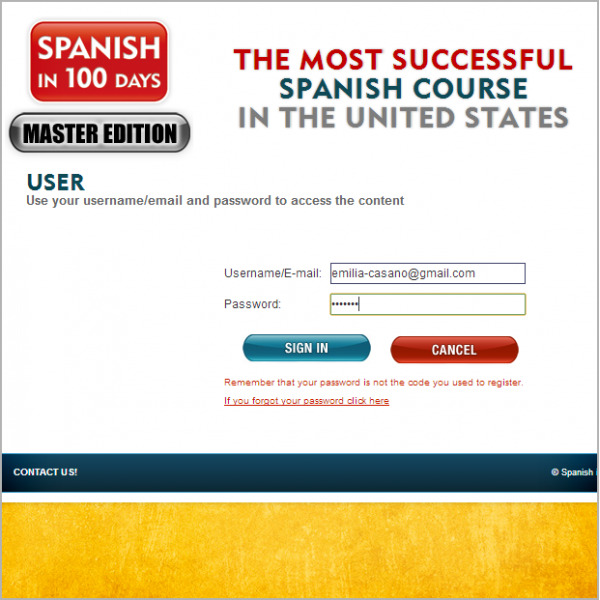 This is the course you were waiting for! 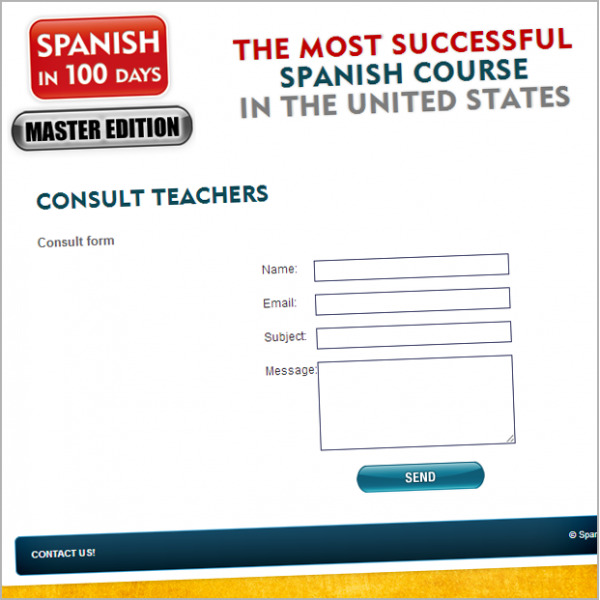 We offer you a course of study developed in 30 didactic units, with 6 levels of mastery, presented in 230 easy-comprehension videos in both languages, English and Spanish. 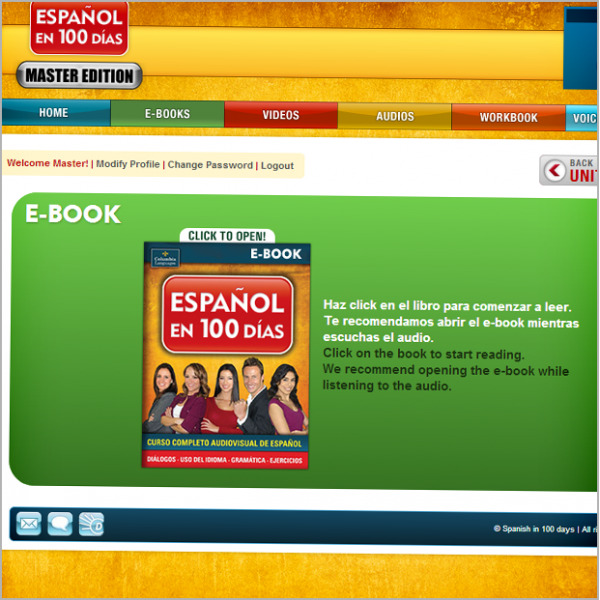 Also, 420 audios, 30 e-books with 600 profusely illustrated full-color pages, 800 fundamental concepts of language, and 100 cultural notes and tips to learn Spanish independently. 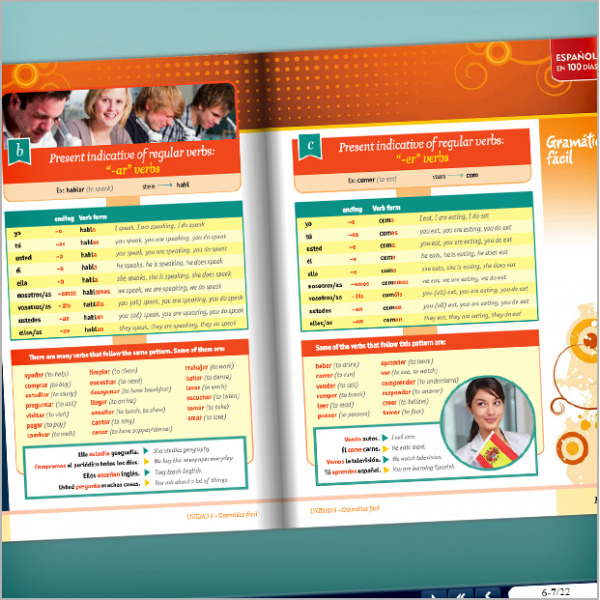 And as if this was not enough, you will have access to our latest and exclusive learning tool: Voice Recognition.